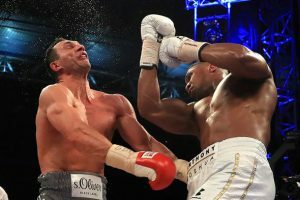 Joshua To Face Klitschko In Rematch – Royal Times of Nigeria. 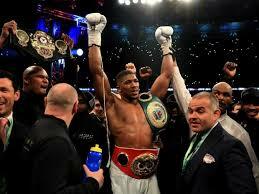 Joshua knocked out Klitschko in the 11th round of their 12 round bout at Wembley Stadium in April. Boxing promoter, Eddie Hearn says Anthony Joshua’s proposed rematch with Wladimir Klitschko “is happening” in his next fight. Joshua is set to face Klitschko for a second time after his thrilling victory at Wembley Stadium in April, with a number of venues being considered to stage the heavyweight world title fight. Klitschko will meet manager, Bernd Boente this week and is expected to agree on another fight with Joshua, who holds the WBA ‘Super’ and IBF titles.